I’m pretty sure I’m not alone when I say I LOVE FALL. 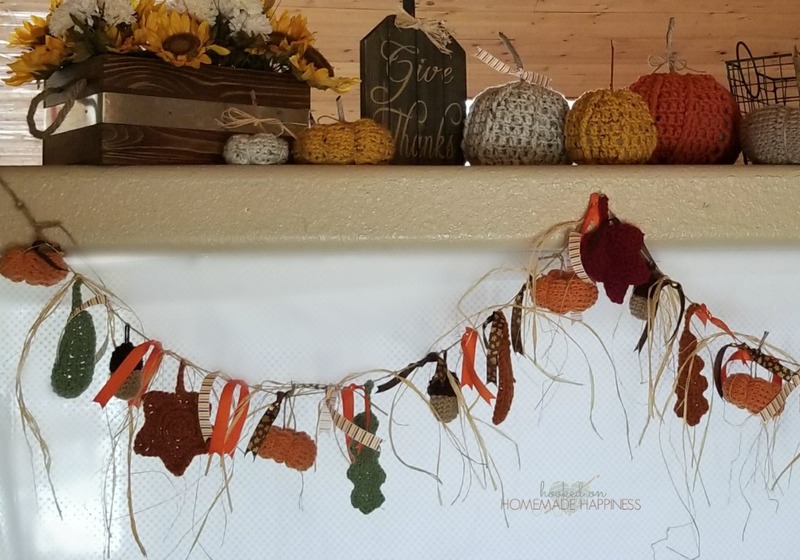 As soon as September hit, I got started on my fall decor. 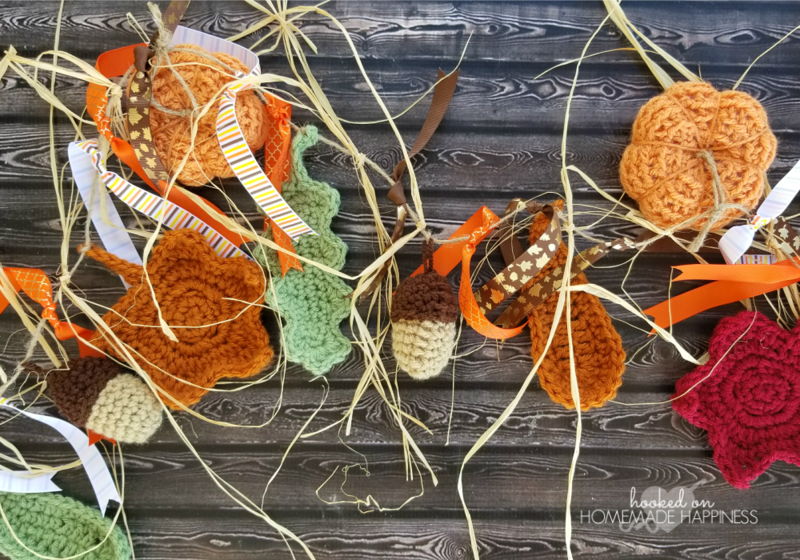 That included making a garland with pumpkins, acorns, leaves, ribbon, and raffia. Leaf Pattern: I made three different leaf patterns, each pattern in 3 colors (giving me 9 leaves total) You can find the leaf patterns HERE. 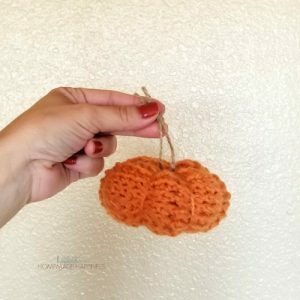 Pumpkin Pattern: There are five little pumpkins in the garland. That pattern is HERE. 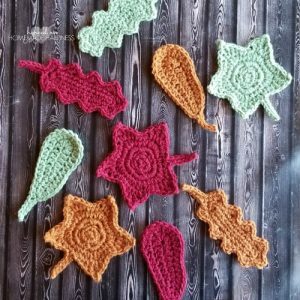 Acorn Pattern: There are also five acorns. 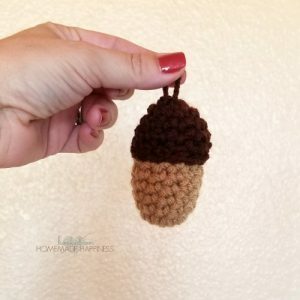 You can find the acorn pattern HERE. 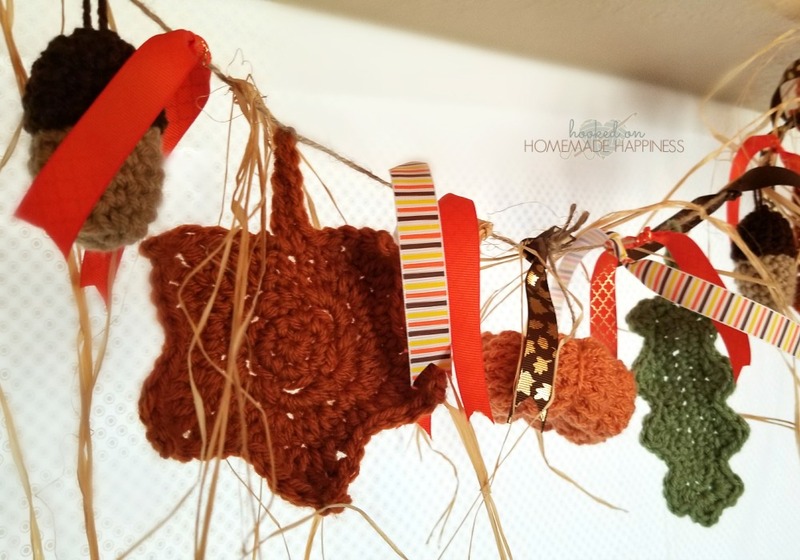 After crocheting all the pieces, line them up in the order you prefer. Take a long pieces of jute (or yarn, or whatever you’d like to use 🙂 ) and your yarn needle, attach the pieces to the jute. Either leave it the way it is, or add any adornments you’d like. 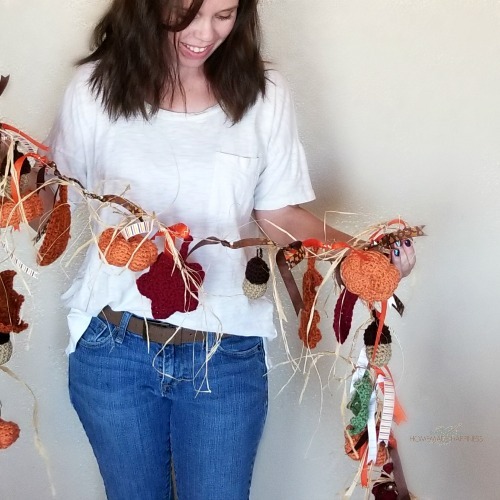 I tied on raffia and pieces of ribbon in between each of the crocheted pieces.